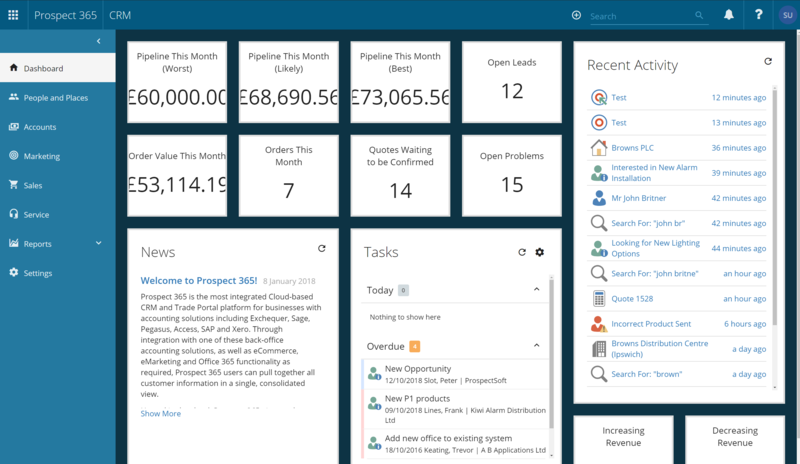 The Report Builder allows you to create your own bespoke Reports based on the data within your CRM. 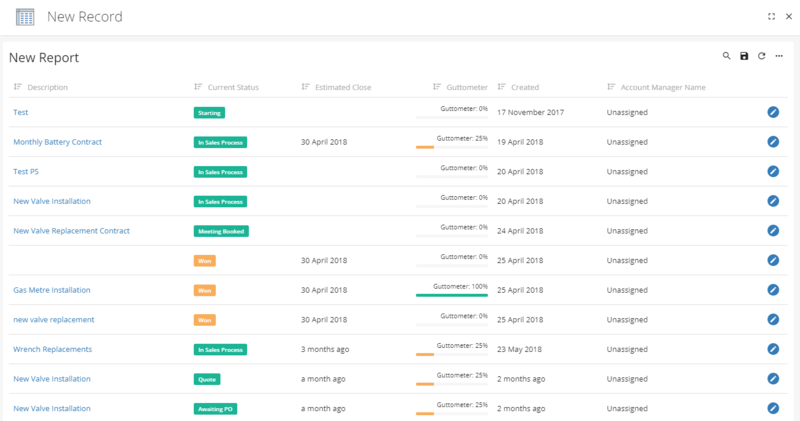 These Reports can be exported, saved and shared with other CRM users. Furthermore, Contact Reports can be used to build target Contact lists for your Campaign Activities. This guide will explain all of these steps so you can feel confident when creating a Report and sharing these results. If you expand the left-hand vertical menu, the following Report groups will be displayed: 'People & Places', 'Accounts', 'Marketing', 'Sales', 'Service', 'My Reports' & 'Shared Reports'. You can add and create Reports within any of these groups. Please note any Reports created through the general Report groups such as ‘People & Places’, all CRM users will be able to view these. Any personal Reports should be created within the 'My Reports' group. For the purpose of this guide we are going to create a new Sales Report called Active Leads by Account Manager this Month. To create a Report you need to navigate to the folder you wish to create the Report within and click 'Add Report'. 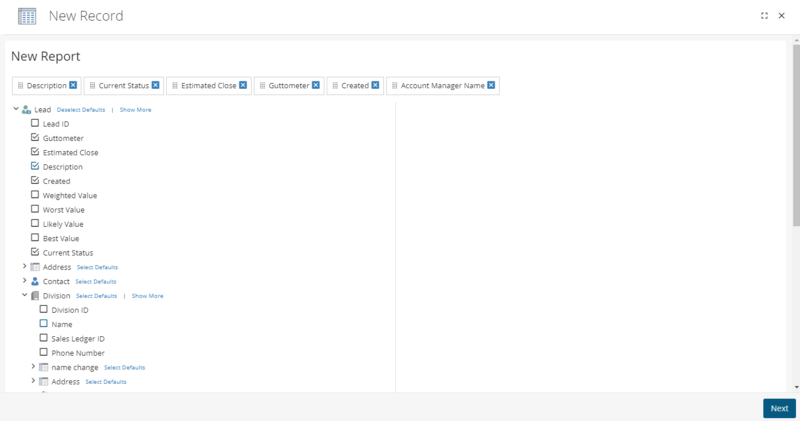 As there are many fields within the CRM database we have added a entity filter, so only the fields relating to this entity are returned. This avoids the user having to search through loads of field names when choosing their Report columns. As I’m creating a Sales Report, I have selected the Lead entity and will now click next to select my columns. 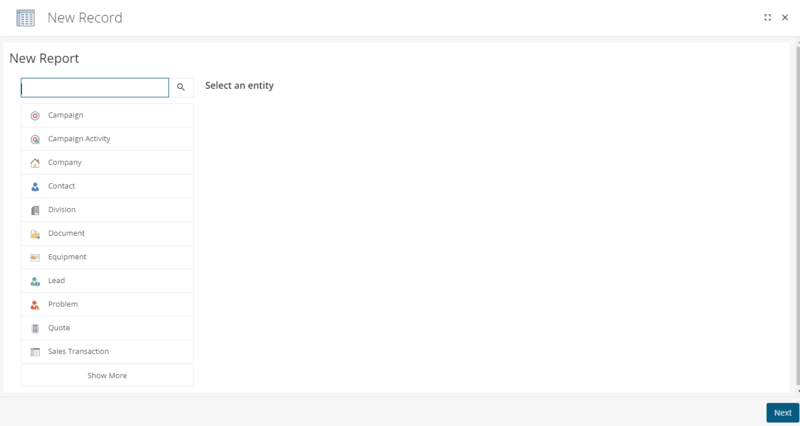 Now that we have selected our entity, the Report Builder will list all field names relating to that entity in a tree like view. 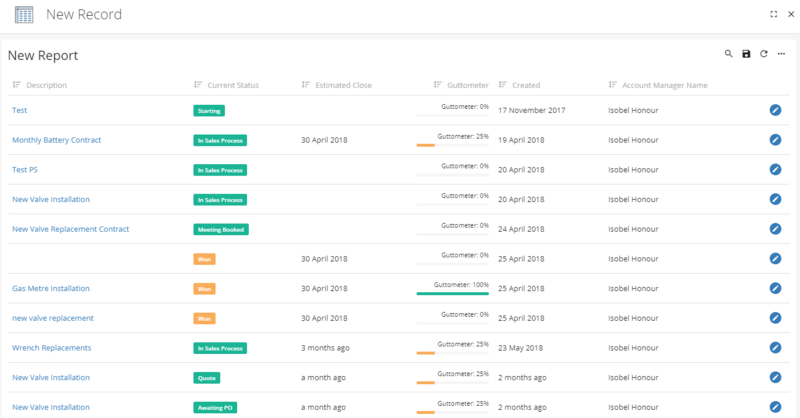 Along the top of the screen it lists the columns in order, this order can be changed by dragging and dropping the field names. I have chosen 6 columns: 'Description', 'Current Status', 'Estimated Close', 'Created' & 'Account Manager Name'. Once happy with your chosen columns you can click next. To add a filter to your Report you will need to click on the three dot icon and select Filters. 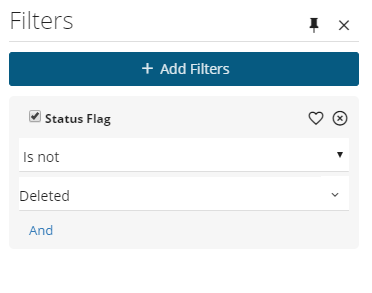 As standard the Status Flag filter will be applied, this will be set to remove any Leads that have a status flag of deleted. If you would like to add additional filters you need to click 'Add Filters'. You can filter on any field which relates to the pre-selected entity. Therefore, if I wanted to filter by Account Manager, I could do so through the tree structure. As you can see 'Account Manager' is located underneath the 'Company' grouping and I have selected it by ticking the filter option. Once happy with your selected filters click continue. I can now select the 'Account Manager' I wish to filter by, for example Isobel Honour. 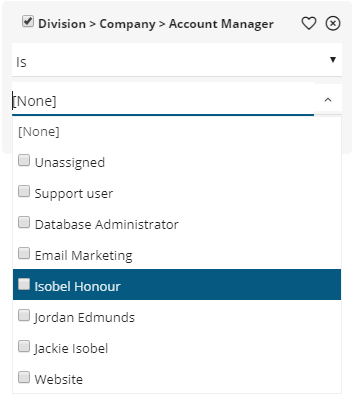 If I selected this 'Account Manager' the results within my Report would change based on this filter, leaving me with only the Lead records that have Isobel Honour set as the account manager. Along the top of the Report on the right-hand side there is a save icon, if you click this you can rename the Report and select whether you wish to share this with other CRM users.